The blowing theory is to use a pusher to push the Optical Fiber Cable(OFC)/ Power Cable into the HDPE duct, in the meanwhile the air compressor provide enough compressed air with high pressure, this kind of high speed compressed air will give the cable a force of moving forward, in this case, the cable is being pushed into the duct instead of pulled. The cable in the duct has been blew smoothly and following the direction of the duct laying. Due to the head of the cable is loosed compared with pulling, there is no force on the head of the cable, after blowing, the cable will stay loosely at the bottom inside the duct, this method is much more helpful for extending the life time of the cable compared with pulling technology. Step 4：Start to Blow. Compressed air pushes bullet forward, the bullet carries cable ahead and goes through the pipeline. 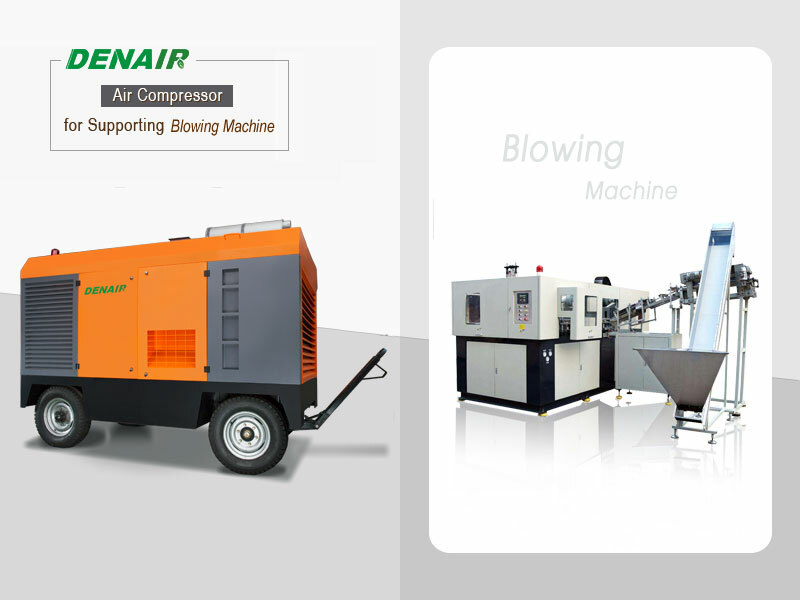 Nowadays,there are more and more high pressure air compressor used in blowing industry.